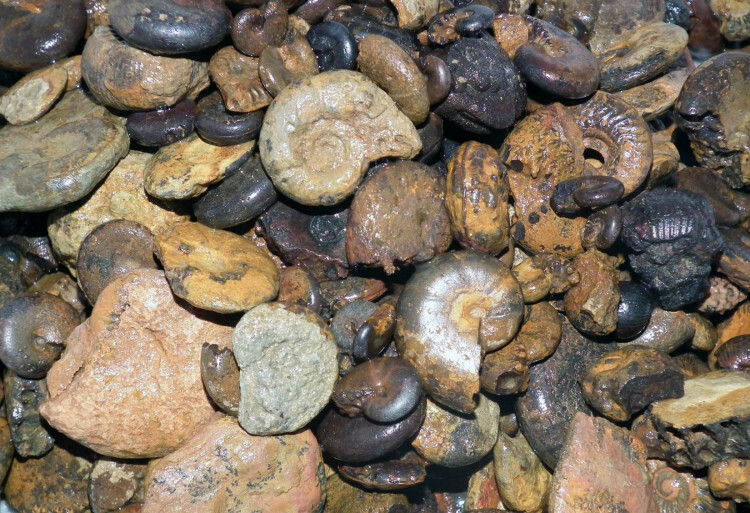 Low grade Ammonites and Ammonite pieces, sold by weight. Low grade Ammonites and Ammonite pieces, sold by weight. These pieces are great for ‘fossil finding’ activities with your kids and could be buried or set into plaster of paris. They also make an interesting ornament purely due to quantity – as fishtank or aquarium gravel, or scattered on top of plant pots. We can supply these wholesale, if you need a lot! We sell a range of Ammonite fossils – both rough and cut / polished.